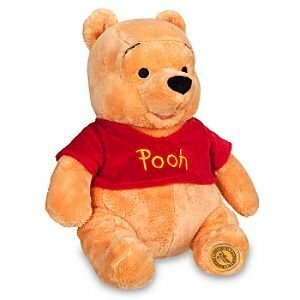 Winnie the Pooh is, of course, the hero of the two Winnie the Pooh books, and therefore our favorite. What he lacks in brain he more than makes up for in geniality and fluff. 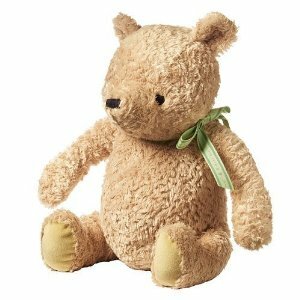 Pooh's best friends include Christopher Robin and Piglet, although he is on good terms with all of the animals in the forest due to his friendliness. Because of his startling lack of brain Pooh sometimes finds it difficult to follow plans or keep up with the animals when they are planning something like an Expotition to Somewhere Interesting. He also finds it hard to keep up to speed with Rabbit or to understand Owl, although Owl does talk in such long and boring sentences that it's almost impossible to understand him anyway. Pooh is scared of Heffalumps and Woozles. He loves eating honey, and he especially loves that moment just before you eat honey. He also loves counting honeypots.